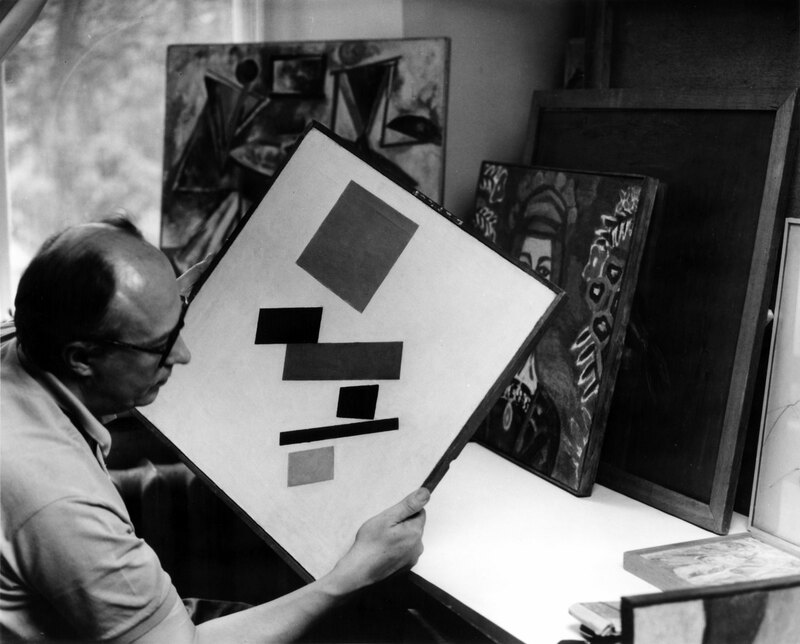 In 1962, Andrei Nakov began his research on the origins of Russian abstraction with a “Magisterium” thesis prepared at Warsaw University under the direction of Prof. Juliusz Starzynski. This study, devoted to the Lithuanian painter M.K. Ciurlionis, who was a student in Warsaw while at the same time an active participant in St. Petersburg Symbolism (close to the group led by V. Ivanov), was published in Paris only in 1966, in the Polish magazine “Kultura”. 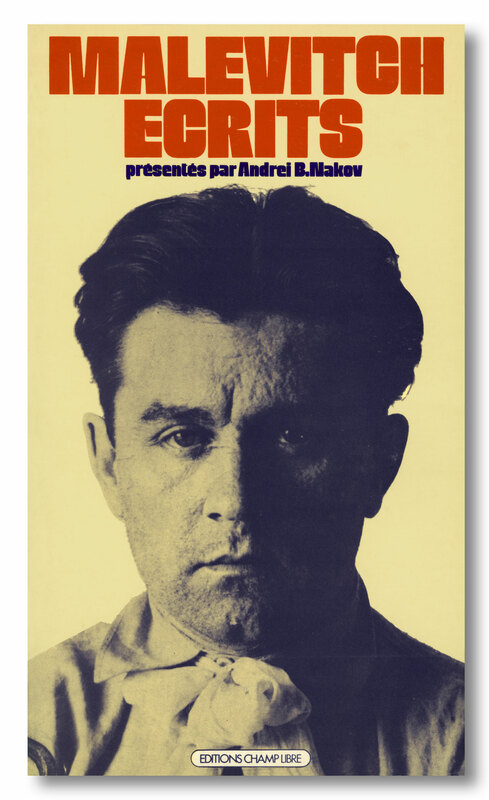 At the end of the sixties his first articles on the Polish descendants of Malewicz and their relationship to Suprematism were published in Paris in French. As a Visiting Fellow at Harvard University (USA), from 1970 onwards he undertook research on Russian Cubo-Futurism, which quickly led him to the writings of Malewicz. 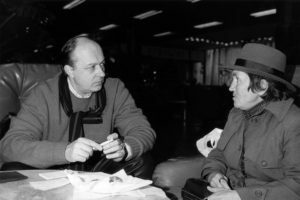 Advice from Roman Jakobson provided the initial guidelines in his approach to the subject, which he continued to study after his return to France in the summer of 1971. 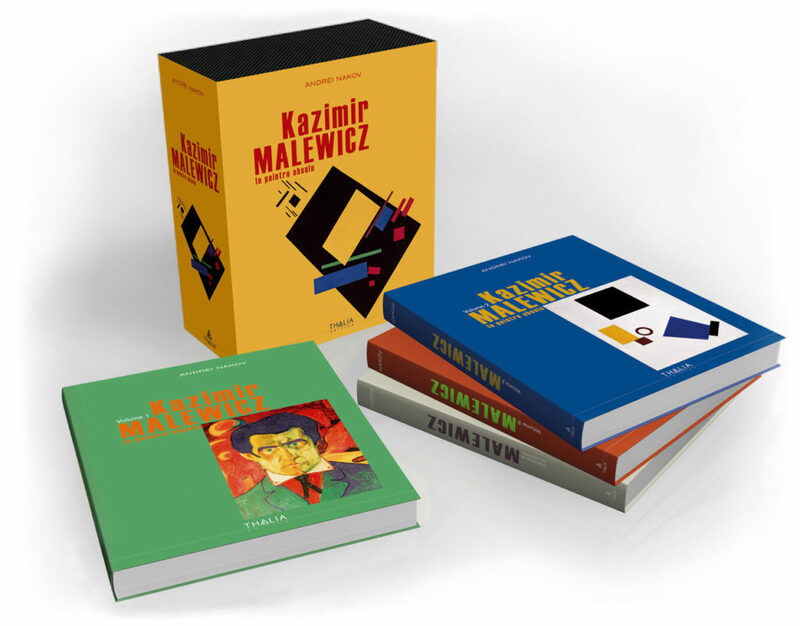 An extensive critical anthology of the writings of Malewicz, which he wrote in 1973 and 1974, was published in the spring of 1975 by éditions Champ Libre, Paris. The book, Malévitch – écrits, met with immediate success and has been reprinted twice since then. In 1977, an adapted and extended Italian translation was published by the Feltrinelli publishing house in Milan. Éditions Champ Libre (which subsequently became éditions Ivréa) published an augmented and revised French version in Paris in 1986. C’est cette deuxième édition française qui servit de référence à l’édition de 2013 réalisée par les éditions Mimesis de Milan. Elle comprend ainsi un nouveau texte (Le manifeste « blanc » de 1918) et aussi des nouveaux commentaires, de même qu’une nouvelle introduction (lire des extraits : “Le retour du mythe des sacrées icônes”). Centrée sur quelques questions d’actualité, cette introduction présente entre autres le dernier manuscrit important du peintre, le texte “Pratique et critique de l’impressionnisme” (1932). In 1976 the Tate Gallery in London entrusted Andrei Nakov with a monographic exhibition of the work of K. Malewicz; this was the only exhibition to have taken place in the country since the Amsterdam Stedelijk Museum’s collection was shown at the Whitechapel Gallery in 1959. In 1977, he also organised the exhibition “The Suprematist Straight Line” in London (Annely Juda Fine Art), whose catalogue included numerous works and previously unpublished documents by Malewicz and his closest pupils – Lissitsky, Chashnik (Casnik), Suetin and Khidekel. 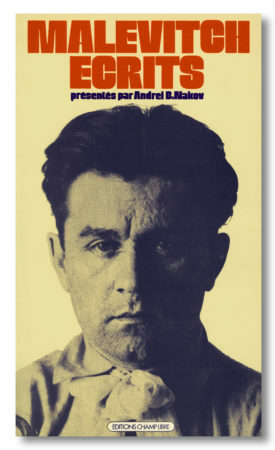 In the autumn of 2001 A. Nakov gave a series of lectures at the invitation of the Institut Français in Rabat (Morocco), and presented a didactic exhibition devoted to Malewicz. This was the first exhibition of Suprematism to be shown in the southern Mediterranean. During the nineteen seventies he published monographic articles in several languages (in New York, Cologne, Berlin and elsewhere) on several aspects of the work of Malewicz, and in Germany in 1979 he returned to the already “historical” project of the first major monograph on this artist. The project had been initiated at the end of the fifties by Carl Gutbrot, the famous director of the Dumont-Schauberg publishing house in Cologne, and by Wilhelm Hack, an enlightened collector who was at that time one of the very few people interested in Russian non-objective art in general and the work of Malewicz in particular. Initially, this first monograph was researched by Hans von Riesen, a friend of the artist during the latter’s stay in Germany in 1927 and the heir to his Berlin archives. After many years of work, Riesen abandoned the project for health reasons and no less in the wake of the difficulties with documentation which he encountered in his work with the USSR, where Malewicz’s aesthetic was ideologically condemned. Carl Gutbrot subsequently entrusted the project to two Czech art historians, Miroslav Lamac and Jiri Padrta, two highly experienced researchers who had carried out remarkable documentary work in the sixties, and had produced the first analytical studies of the work of Malewicz. 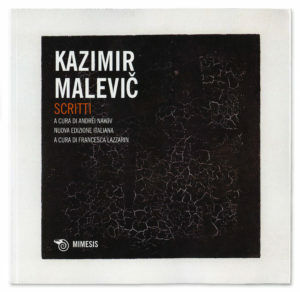 It was thanks to Miroslav Lamac in particular that Malewicz’s graphic work was indexed in photographic form in Russia. This fundamental work was helped by access to the original documents, especially a body of drawings conserved in the artist’s St. Petersburg studio by his assistant, Anna Leporskaja. 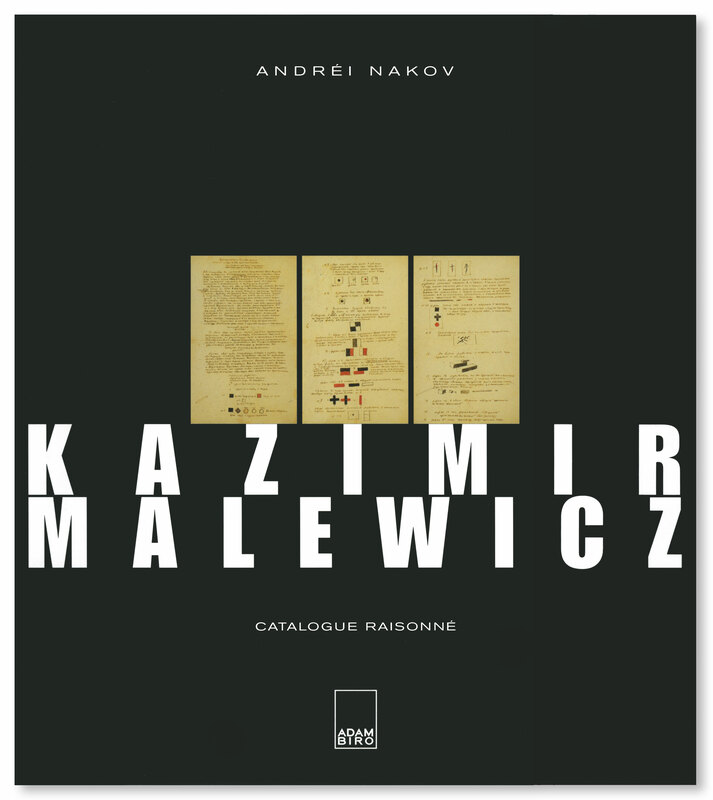 This documentation, which today belongs to the A. Nakov archives, was the seminal point of departure for the posthumous study of the work of Malewicz. The political events of 1968 (crushing of the “Prague Spring”) and the health problems suffered by Jiri Padrta, who was to die in 1978, prevented the monograph from advancing. The project, including the historical documentation accumulated by Hans von Riesen and Miroslav Lamac, was handed over to A. Nakov in 1979, while the publishing work was resumed by PVA in Landau, Federal Republic of Germany. Shortly afterwards the publishers, encouraged by the existence of the photographic documentation from the artist’s studio, asked A. Nakov to complete the monograph with a critical catalogue of the work, whose popularity was continually increasing in Western Europe. Such a task was feasible, because from the outset of his investigations A. Nakov had himself been working with certain friends (Khardziev) and students of Malewicz (Hidekel, Magaril) and with their heirs (the Judine, Koudriashev, Matiushin, Chashnik and Suetin families), and above all with Anna Leporskaja, Malewicz’s last assistant and companion of Suetin, who was a historical witness of the highest importance and hence a decisive source of information for the knowledge of the artist’s work. In 1984, the research work was once again hindered by the obstacles raised by the ideological censorship imposed on the study of modern art in the USSR. It was only from the autumn of 1987 that the changes brought about by the dismantling of the Soviet system (Perestroika) enabled A. Nakov to gain access to the Russian public archives and the museum reserves, in a country where the work of Malewicz had until then been buried in the strictest confinement. Work on the monograph and the “Catalogue raisonné” was to occupy the second half of the nineties. By this time the project was in the hands of French publishers, several of whom gave up in the face of editorial problems and the mass of multilingual documentation involved in the publication. The Catalogue raisonné, which was in fact the documentary annex to the publication, was the first part of the work to be published in June 2002 in Paris by Adam Biro, who in turn abandoned the rest of the project shortly afterwards. Ready for printing, the complete text of the monograph consisted of a total of 1,596 pages in four volumes. 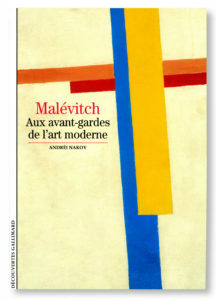 It appeared in April 2007, published by Thalia édition, Paris. The work’s bibliography, which is an indispensable tool for consulting the Catalogue raisonné was initially to be published by éditions Adam Biro, but at the last moment it was not included. Ita appears only in the fourth volume of the monograph. This work, which is the result of 25 years of research, contains numerous formerly unpublished documents and interpretations. These are based on research carried out in Western Europe (Poland, Germany – including part of the unpublished Hans von Riesen archives – and Italy) as well as in Russia (archives of the Malewicz family, those of Viktoria, the artist’s younger sister, and Una, K. Malewicz’s second daughter, whom A. Nakov saw frequently during the seventies and eighties). 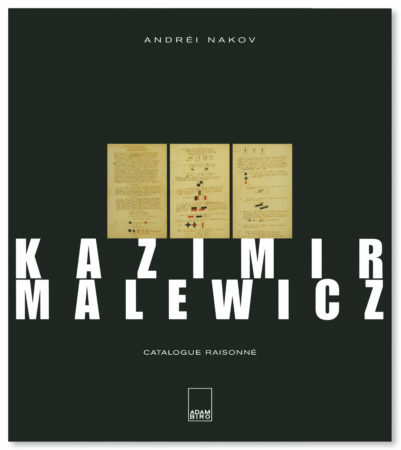 The four-volume Kazimir Malewicz le peintre absolu was published in April 2007 by Thalia édition, Paris. 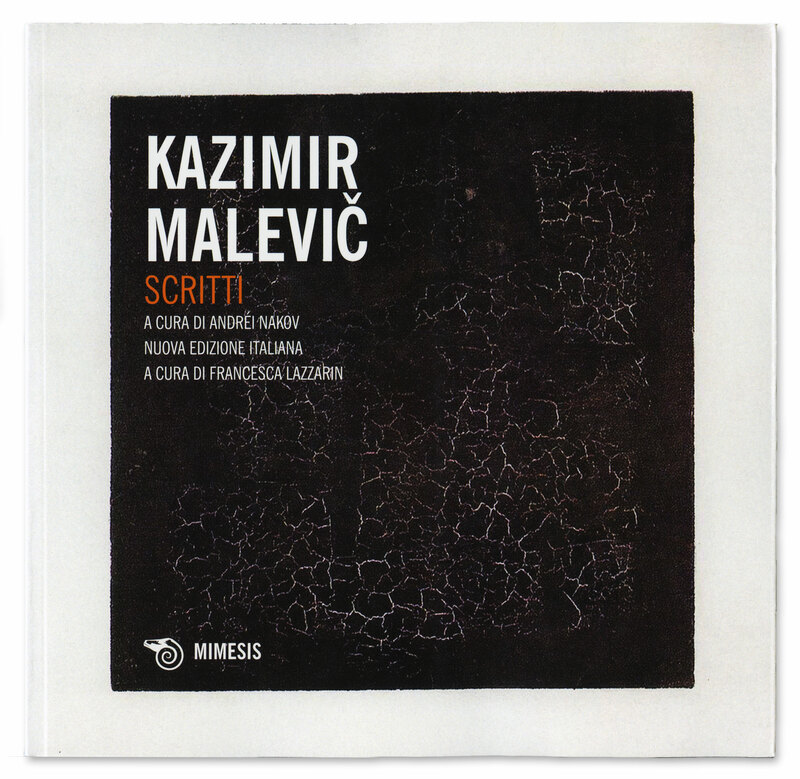 Part of this work’s documentation comprising the catalogue raisonné of the artist’s plastic work was published in 2002 by éditions Adam Biro, Paris under the title Kazimir Malewicz, Catalogue raisonné. This publication was revised and completed in the fourth volume of the 2007 monograph by an addendum and especially by the bibliography, an indispensable tool for consulting the Catalogue raisonné. 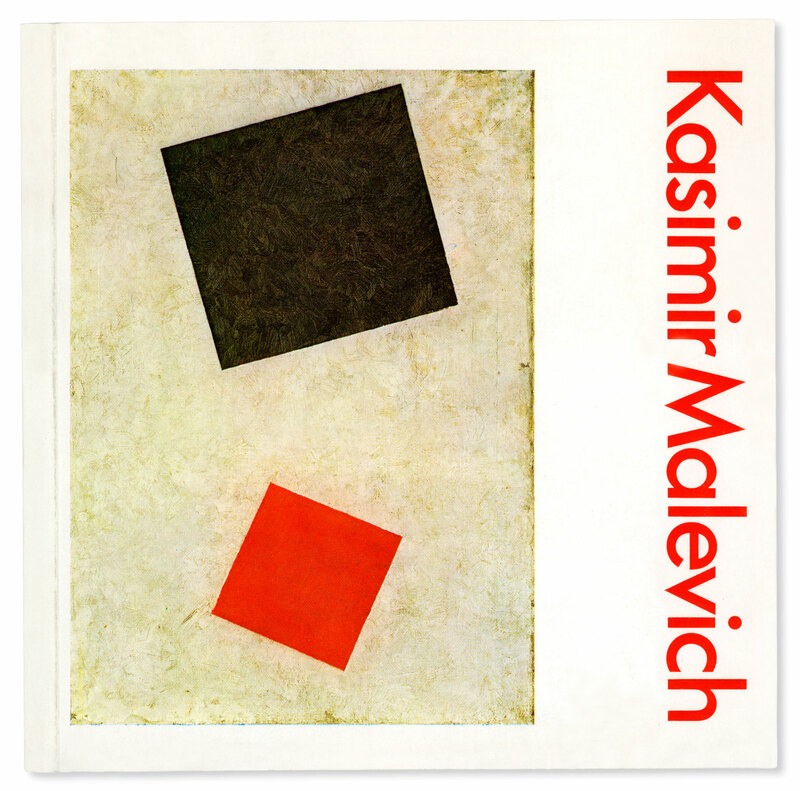 The acquisition by the Stockholm Moderna Museet of an important Suprematist painting by Malewicz from 1915 led to a monograph devoted entirely to this composition. 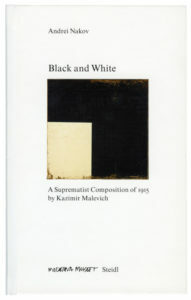 Under the title Kazimir Malevich, Black and White Suprematism (1915), Andrei Nakov’s book, edited by the Stockholm Moderna Museet, is pending publication by Stedl, Göttingen. Two separate editions are to appear, one in Swedish and one in English. Work on this artist’s œuvre did not come to a halt with the publication of the monograph, which A. Nakov finished writing in 2000. In 2005 the Schopenhauer Society, Frankfurt, published the volume Schopenhauer und die Künste, which included the study «Malewitsch mit Blick auf Schopenhauer. Das Überschreiten der expressionistischen und symbolistischen “Verkleidung der Welt der Dinge”. 2003 saw the publication in Toulouse of the study “Le vol libre des hommes et des formes : quelques éléments d’une convergence significative entre Malewicz et Ciolkovski” (in the exhibition catalogue La conquête de l’air : une aventure dans l’art du XXème siècle, Les Abattoirs, Musée d’Art Moderne, Toulouse, pp. 183-192). The latter text explores the interferences of Malewiczian thematics with the work of Constantin Ciolkovski (1857-1935) the great Russian scholar and visionary dreamer of interplanetary flight. 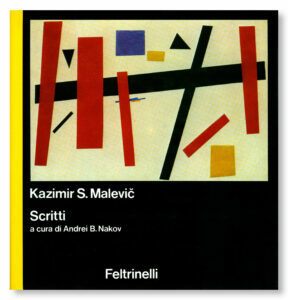 Since completing the text of the monograph (2000), A. Nakov has published studies extending this work in the direction of philosophy (text on Malewicz and Schopenhauer, see Bibliography 2005), Malewicz’s relationship with Poland (Conference at the Royal Palace in Warsaw in the autumn of 2003, to appear in Cracow in the Artibus et Historiae anthologies published by the IRSA Institute), his relationship to cosmonautics, a text on Ciolkowski (Toulouse, Musée d’Art Moderne catalogue, 2003), and his relationship to the philosophy of Schopenhauer (bibl. A.N. 2005). by Gallimard. This book, intended for wide distribution, is currently being translated. 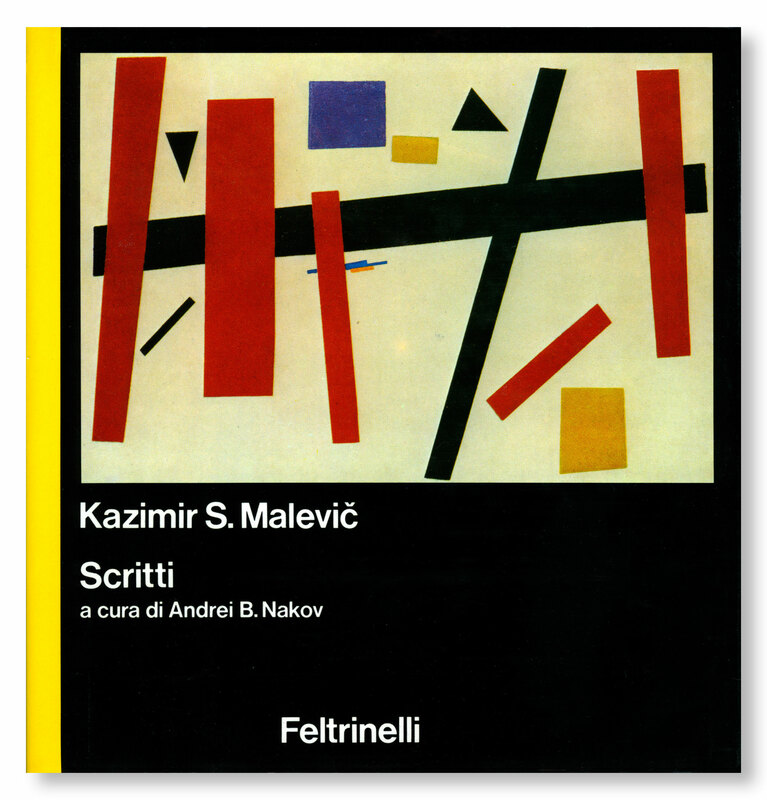 A. Nakov is at present preparing a monographic publication on an important Suprematist composition from 1915.